This entry was posted on September 5, 2017 by Marketing. #1. San Francisco is the tech hub of the world. The supercharged job market and tight housing supply ensure a strong market in the Golden City. Some of the most successful tech companies are based in San Francisco, including Twitter, Yelp and AirBNB. Additionally, companies in nearby Silicon Valley including Google and Facebook sponsor private luxury buses to shuttle employees to their suburban campus. A shuttle stop located near your property can actually increase the value. According to a study by the rental site ApartmentList, between 2010 and 2015, the San Francisco-Oakland-Hayward census area created only one new housing unit for every 6.8 new jobs. In the city of San Francisco, there was only one new home for every 8.2 jobs. A steady stream of new jobs means that there are always people hunting for new homes. And with the opportunity to supply housing in a market with such pent up demand, real estate investors would benefit from investing in San Francisco. #2. San Francisco is one of the best places in the country to live. A new report from Niche.com ranked four San Francisco neighborhoods as some of the top 25 neighborhoods in the country: Rincon Hill, Monterey Heights, Presidio, and Central Waterfront/Dogpatch. One of the attractions is the incredible diversity, with the Bayview neighborhood ranking among the most diverse. In addition, nearby cities Berkeley and Sunnyvale rank amongst the best cities to live. #3. The tight market leads to bidding wars and quick sales. According to the San Jose Mercury News, 62% of sales are for more than the asking price. This is second highest in the nation, behind the nearby city of San Jose at 63%. 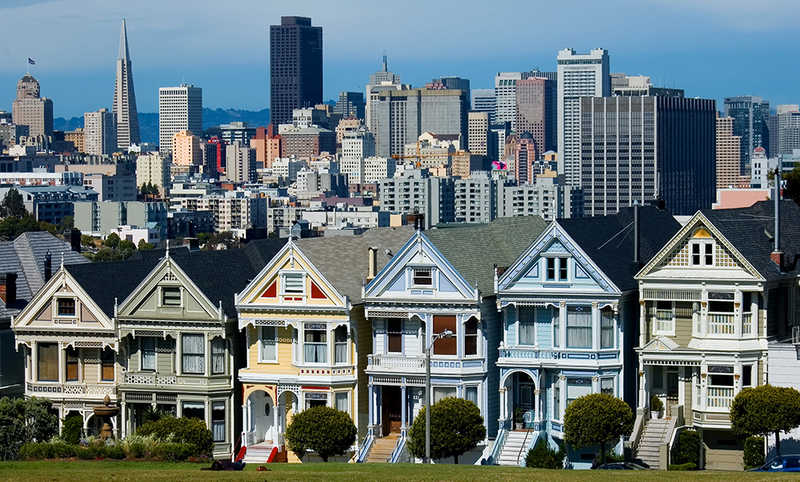 San Francisco also had the fifth fastest average sale, with the typical home selling in 28 days. According to Nela Richardson, Redfin's chief economist, “Rising prices and increased equity may tip the scales for homeowners who have been delaying their decision to move up, which could add much-needed starter-home inventory to the market.” The increase in starter-home inventory could provide buying opportunities for flippers. #4. 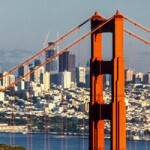 San Francisco is a popular home for foreign investment dollars. A survey by the Association of Foreign Investors in Real Estate ranked San Francisco as the fifth best city in the world for global real estate investors. Money flowing in from overseas can help keep the market strong and increase profits. According to Forbes Magazine, Chinese investors are the largest foreign group investing in US real estate, led by their insurance companies. If you’re a real estate investor who is thinking about jumping into the San Francisco real estate market, consider your funding options at Patch of Land. We’d love to speak with you about your project! Connect with us today. This entry was posted in All Projects, Building Wealth and tagged san francisco, real estate investing on September 5, 2017 by Marketing.